The life and death of Wild Bill Hickok added a bit of flair to the history of Deadwood and the Black Hills. Facts and embellishments regarding Wild Bill, Calamity Jane, and other 19th century characters helped give rise to a burgeoning tourism industry that continues into the 21st century. But the growth and durability of old Deadwood links back directly to two things: gold and railroads. 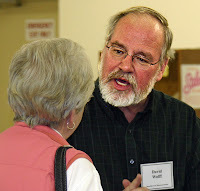 In his latest presentation to the Spearfish Area Historical Society (12/7/10), Black Hills State University professor David Wolff recounted the discovery of gold and the development of railroads in the Black Hills. A pharmacist-turned-historian, Dr. Wolff is a Past President of the Lawrence County Historical Society and continues to serve on that board. He is also a Vice-President of the South Dakota State Historical Society and is Chairman of the Adams Museum and House Board of Directors in Deadwood. There were rumors of gold in the hills in the early 1800’s, Wolff told the audience. “But who knows?” he asked somewhat rhetorically. Wolff proffered that both discovery and a rush are required, if such an event is to be considered a true gold rush. While there were numerous reported “discoveries” earlier in the 1800’s, there certainly was no “rush” of prospectors to the region until 1874. That’s when the Custer expedition – replete with 110 wagons and a thousand men – entered the western Black Hills near Buckhorn. It was near present day Custer that year that Horatio Ross and William McKay reportedly found gold in July of that year. Word spread rapidly, and the rush to the hills was on. Wolff noted that early prospectors found some gold at Spring Creek, more near Sheridan, and along Rapid Creek. But it wasn’t much, and for most it wasn’t enough to even pay a day’s wages. “If that’s all the gold that would’ve been found in the Black Hills, the gold rush would’ve died. The men would have lost interest, packed up and left. It would’ve been like the Big Horns in Wyoming, where there were repeated gold rushes, but they never found any real gold. But that didn’t happen in the Black Hills, where several “paying locations” blossomed in Deadwood Gulch, along Deadwood Creek and Whitewood Creek. By the spring of 1876, Fred and Moses Manuel found a large outcropping of ore that became the “Homestead Claim,” measuring 600 by about 1,500 feet. It became a focal point for hardrock mining. In the coming months, California entrepreneur George Hearst (at left) arrived on the scene and offered the Manuels and their partners $70,000 for their claims. It was the beginning of the industrial mining that gave wealth to the region for more than a century. 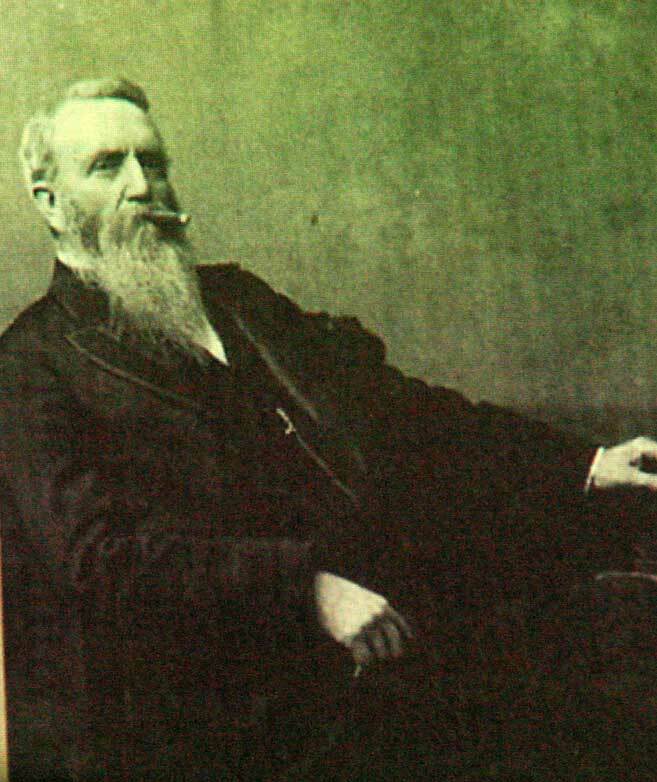 Hearst and his partners developed the infrastructure necessary to process the ore, and many former prospectors went to work for the Homestake. With the growth of the Homestake Mine, Lead became a true “company town,” while nearby Deadwood became a service center. Even in those early days, railroads were an essential part of gold mining. At first, it was mules and horses pulling ore out of the mines in wagons on rails. By 1879, Homestake ordered a five-ton locomotive that had to be pulled by oxen from Bismarck, North Dakota to the Black Hills. That engine – dubbed the J. B. Haggin – was a workhorse for the mine, which used rail to haul timbers needed for the mining operation. Some 130 years later, the J. B. Haggin remains on display at the Adams Museum in Deadwood. Wolff traced the expansion of rail service by the Fremont Elkhorn & Missouri Valley from Nebraska along the eastern edge of the hills, basically following the old Sidney to Deadwood stage route. First to Buffalo Gap in 1885, on to Fairburn, Hermosa, and eventually Rapid City. 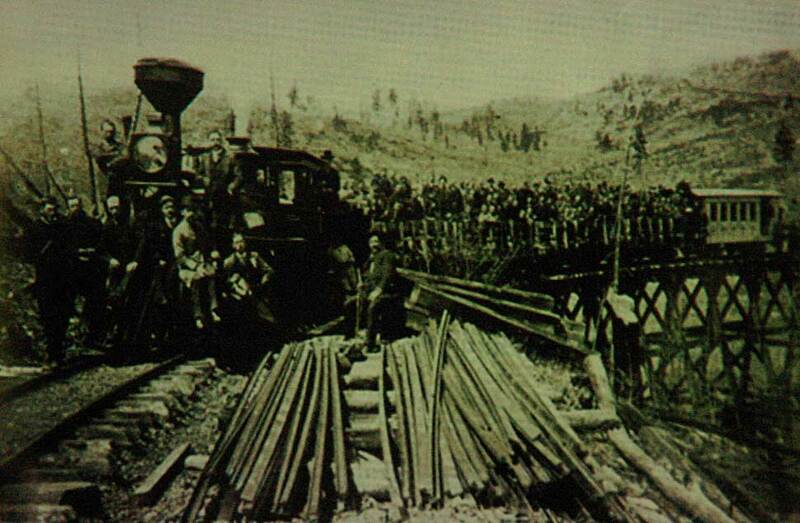 In 1887, the railroad started building again, creating excitement in places like Deadwood, Sturgis, and Crook City. Instead, FE&MV built north 10 miles and created the town of Whitewood. From 1887 to 1890, all rail business in the area came out of Whitewood. Then came news that the Burlington line was building north out of Nebraska toward the coal field of Wyoming. After creating their own company town in Edgemont, Burlington announced plans to build track to Deadwood, which was eager to see the local Black Hills & Fort Pierre line connect with main lines outside the hills. Despite its name, said Wolff, the Black Hills and Fort Pierre Railroad ran from Lead to Sugar Loaf, Brownsville, then Nemo, and just to the edge of the Black Hills. There was no service to Pierre. The Fremont Elkhorn & Missouri Valley railroad, a subsidiary of the Chicago and North Western Railway, arrived first in Deadwood -- December of 1890. But the Burlington wasn't far behind -- January 1891. Both companies established depots in close proximity. C&NW signage for the old FE&MV depot is still displayed on the side of the old depot building in Deadwood. It is now a tourist information center. Wolff briefly recounted the role of Seth Bullock in helping the railroad develop Belle Fourche, much to the chagrin of nearby Minnesela residents, who had enlisted Bullock’s help to ensure that the line would pass through their community – which is no more. More details about this event can be found in Wolff’s book Seth Bullock – Black Hills Lawman.